Dems and media will soon learn they suffered a huge defeat when Mueller report came forth with no collusion ruling. They're currently counter attacking with an obstruction of justice strategy, but this will soon fizzle out. They can spin a few things to make it "sound" bad, but in the end, there was no evidence of collusion to obstruct. or retreat. If Lee met Grant in battle he couldn't win and would diminish his force. Grant would also be bloodied, but his force would still was dominate. Rinse and repeat. Soon Lee was cornered at St. Petersburg. They have all their hope in the "Un-Redacted" version now. They are just positive that the evidence is there - blacked out. Speaking of the Dems "obstruction of justice" fallback position. Are they saying Trump did something nefarious behind the scenes that tipped the scales of justice in his favor when it came to Russian collusion? Mueller and his band of Dem prosecutors really, really wanted to nail Trump with obstruction of justice. That's all they had. I'm convinced Mueller knew by August of 2018n there was no collusion. So if Mueller knew the collusion thing was bogus back in August 2018 why didn't he conclude his investigation and report there was no collusion? Wouldn't that be the kosher thing to do? Well yes it would. So why didn't he do it? I know what I think, but I'll wait to hear what others have to say. I disagree. They know there isn't any evidence there. At best some dirt on someone. collateral damage for them, they won't own up to this garbage they'll move on to something else. All this has been a clear sign that many put Party First. It's getting old if you ask me. Amusing how the hypocritical Dems completely change their tune to support the "quote" of the day. Initially they hated James Comey but when Pres Trump fired him they hailed him as their martyred hero. Same deal with William Barr. He was a considered to be a renowned champion of jurisprudence and now he is the president's parrot! In 2013 a bunch of them supported building walls at the border and now they call it a manufactured crisis. Since the 2018 election they have done zero work...they spend all their time talking about investigating Trump. Bernie and AOC and the other radical socialists talk about the e New Green Deal and Medicare for all. Were you aware that the cost of Medicare for all is higher than the GNP of all the countries in the world? How on earth are we to pay for that? The 2020 elections will be won in a landslide by the Republicans. I can't wait!! Good punctuation. Good stuff. Got into a bit of a rant. Too many issues brought up in short post. All in all, better than most posts. Pretty good for a new talker. I thought the same thing at Obama's first re-election. I was very wrong on that one. The Dems talk about Trump ruining the "rule of law" and yet they only follow the laws they like. Think sanctuary cities and demanding the entire unrelated Mueller report even though it is against the law to reveal grand jury testimony. That is true, a whole bunch of Democrats (some Rino Republicans too) supported tougher immigration laws and a wall before it was vogue. Today money, child trafficking, cheap labor, and millions of potential Democrat voters far out-weigh American citizens right to work, live, speak freely; to worship as we please, protect and raise our children in a culture established by our forefathers and a debt they paid in full. 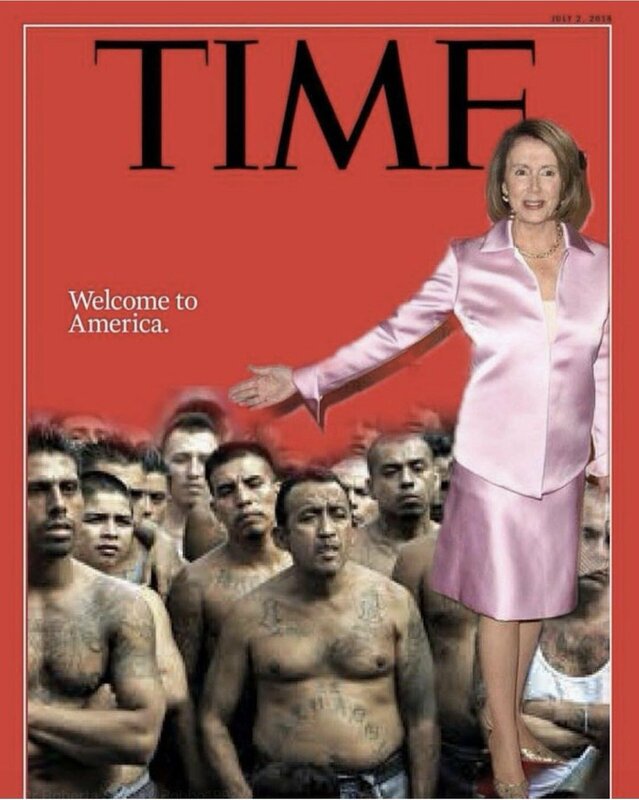 What we are witnessing at the border is a modern day Trojan Horse where thousands upon thousands of Third World men of military age are swarming the borders and disappearing into our communities and these Democrats are complict in this unlawful invasion.